How many times you have faced the issue where you are trying to access some sites and it is showing blocked? I am receiving such messages many times. The blocked websites can be due to many reasons and at multiple levels. Like sometimes government ban some websites due to security or illegal issues. Whereas if you are working in some organizations, usually you will find social networking sites, jobs sites or any other entertainment sites blocked. Sometimes we need to access those sites due to various reasons and actually, you can do too. You must have heard many techniques to unblock blocked websites but here in this article, I am going to show you few best ways to unblock the blocked websites. These methods to unblock the blocked sites are tested and have worked perfectly for me and so will work for you for sure! So let’s start with few best methods to unblock the blocked sites. I am sure these methods will work for sure and you would be able to access the blocked websites. This is the easiest and quickest way to browse blocked sites anonymously. Type in the web address – you’re connected within seconds! 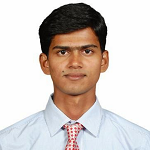 Now if you are thinking how this is being done then let me explain you the working on web proxy. Web proxy server is like a simple computer/server which acts as a middleman between you and your destination URL. Whenever you try to access any webpage, the request first goes to the proxy server and then proxy server request the web page requested by you and then it gives you the result. There are a number of web proxy servers available and you can use any proxy server to get your work done. The middleman in the above picture is the proxy servers which are available both free and paid and the price depends on the location. What happens, these proxy servers have some IP in some locations and they request your requested URL through that IP. Suppose you are in India where Torrent site is blocked and you want to access. Now see where this site is accessible? Let say this is accessible from the USA and so first connect to your proxy and select the Server/IP location as the USA and then you would be able to access the site for sure as you are now requesting the access through the USA and not India. HideSter is one such Web Proxy which helps you to access the blocked websites for free. Let me share some more details about this tool. HideSter is a VPN and free Web Proxy which helps you to unblock the blocked website through web proxy and helps you to access the internet securely through their VPN. It is an internet security company provides lots of tools and service for the internet like VPN, Web Proxy, Proxy Checker, Proxy Filter, DNS and much more. As stated above, there are various tools being offered by HideSter. Some of those are free while others are paid but all are worth to try. But mainly HideSter is known for their Proxy Servers and VPN. Well, HideSter is considered as Top Web Proxy provider with high quality and at a reliable price. They have around 2k proxies which are getting updated every hour. Another best thing I found with HideSter is, you can get the IP of any locations. No matter which location you want, you can get that. You can filter the list as per your location, type etc. easily. You can also export the list. HideSter also shows the time when that IP was last updated and the time it takes to ping. These Premium IPs are available just at $9.99 per year which is too cheap. VPN is the virtual private network and is being used to keep yourself secure online. You can browse the internet securely with the help of VPN. HideSter is going to launch their VPN services by Next month and is expected to be one of the best VPN available in the market. Also, if I expected to be cheap compared to what other companies provide. • It will be a strictly NO log VPN which means your identity will be maintained every time as no log will be maintained. No one will be able to know about your real identity, not even the company. • They are also claiming to be the fastest VPN ever as speed has always been a problem after using VPN. HideSter is working on a way to solve this speed problem so that it can give the maximum speed with or without VPN. So this was the easiest way to unblock the blocked site quickly. Now let me tell you a couple of other methods which you can use if no other ways will work for you. If you are new to the term VPN, then you can read this guide- Everything You Wanted to Know About VPN Connection. Internet Archive is a way back machine which keeps the website data in an archive format. You can’t expect the up to date site here but their crawler crawls the sites very frequently and so you can expect the data of a day or 2 ago. All you have to do is, open Internet Archive site and enter the URL you want to check and select the date for which you want the site. And it will show you the archived version of the site you requested. Apart from the fact that it is very helpful to access the blocked sites, it is very useful for webmasters also. When any website is blocked at your location, it is the ISP blocking traffic to and from that website. So if you will change the DNS then you might be able to access the blocked sites. Here changing DNS means, you can change your DNS to Google public DNS. 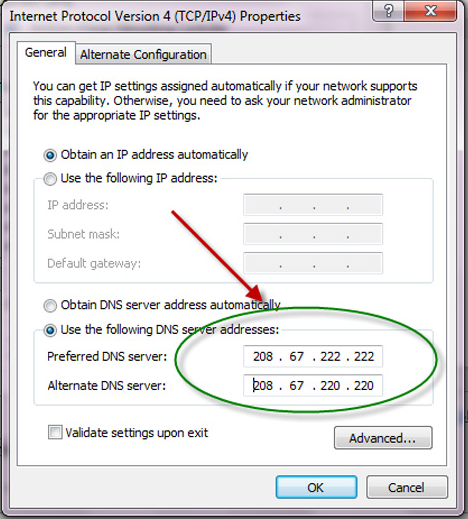 To change DNS, right-click the network icon in the taskbar and select Open Network and Sharing. In the Window that appears, double-click on your network. It will bring up a dialog box and there you can change the DNS under IPv4. There are many more methods using which you can unblock the blocked websites easily. I hope these 3 methods to unblock blocked websites will help you to access the blocked sites easily and quickly. Do let me know if you know any other quick and easy method to access the blocked websites?